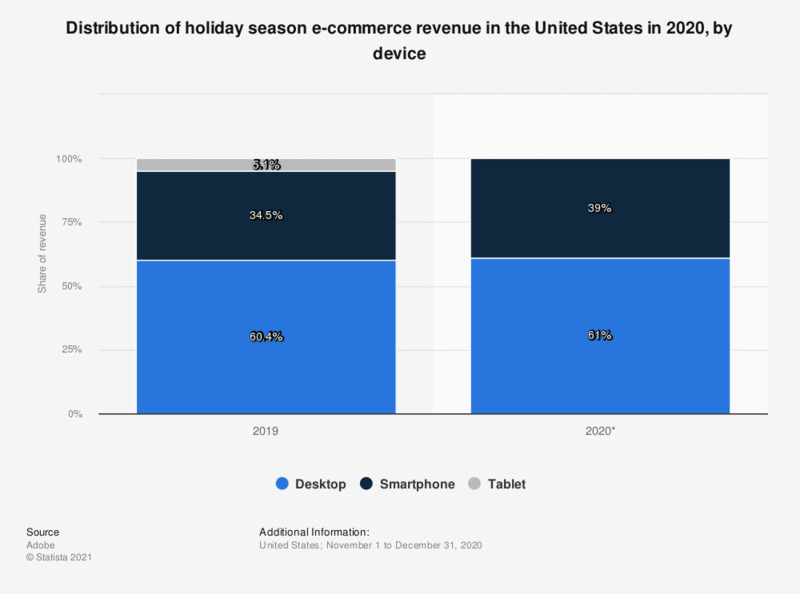 This statistic shows the distribution of holiday season e-commerce revenue in the United States in 2018, sorted by device. During the measured period, desktop PCs still accounted for the majority of holiday season e-retail with a revenue share of 60 percent. Which of the following, if any, do you plan to use to learn more about a product before you make a purchase this holiday?